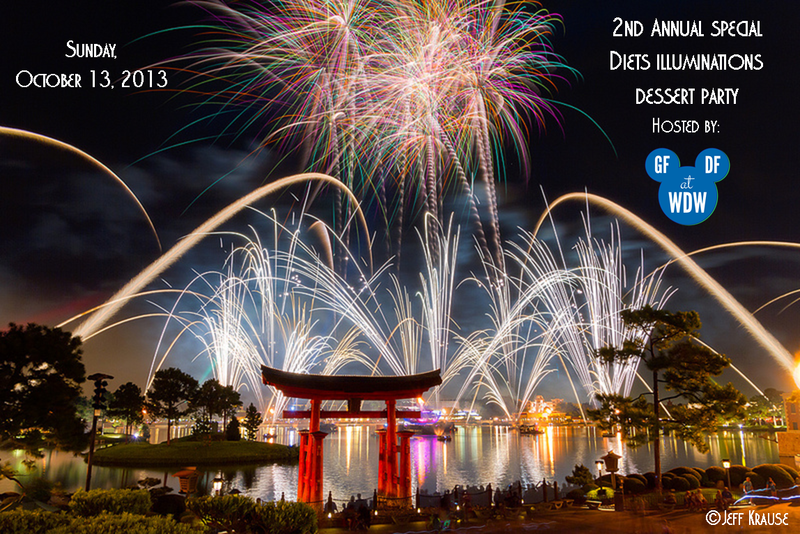 You heard us talk about it all year, and the day finally came for the annual Special Diets Dessert Party in 2013! Click HERE to read the review that I did for WDW News Today. Keep watching DisneyWays and GFDF at Walt Disney World for news on when the next event will be coming! You may recognize Mike Brassell as the voice of The Tomorrowland Transit Authority People Mover in the Magic Kingdom, or as the voice you hear as you relax and enjoy your boat ride through the Living with The Land attraction at Epcot. You may be surprised to learn he has actually done a LOT of additional work for Disney movies– and more. He is also a seasoned musical composer, now a THREE time Emmy winner, family man, all around great guy! More about THIS LINK and why I am including it here. This episode has excellent sound quality, but due to technical difficulties, a small section at the beginning of the interview was lost. During that time, we asked Mike what it is like to be immortalized on a Disney attraction. He joked that when he took his kids on the TTA for the first time – they were amazed and in a bit of disbelief that it was really him they were hearing! He is such a humble man – and he is very respectful of what Disney represents to so many of us. On a personal note I have to admit that I was SO excited to have a chance to talk with Mike – as you will notice throughout the interview! I love his enthusiasm, drive, and I admire his amazing career. I was in total awe of being able to speak to this man who is and always will be a Disney legend to me. I hope you will enjoy the show as much as we enjoyed conducting this interview! 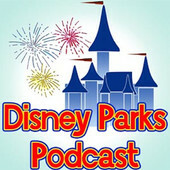 You can catch this episode by visiting DisneyParksPodcast.com directly from your computer. Then just click “Listen Now!” From there, just look for the small grey circle with the sideways white triangle inside. Click on that circle and make sure your speakers are on. The show will begin immediately. For more ways to listen, click here. Thank you for tuning in, and have a magical day! To read more about our relationship with the Disney Parks Podcast click here. Miss out on the Disney Parks Blog Meetup? Did you miss out on the latest Disney Parks Blog meetup? Did you feel a little left out? BUT, here’s some great news for those of us who were not able to attend. My buddy John from BigFatPanda.com has posted a video he filmed during the big night! Like some sort of lovable octopus with multiple hands and arms – he held food, drinks, the video camera – and still managed to get smiles and comments from some of the best Disney correspondents in our community. What a guy! Watch closely to see everyone’s favorite Disney blogger – Mya Space – a character actor hired by Disney to keep everyone laughing! I think you will agree that it is a real gift to be able to hear and see what it was like to attend this fantastic event. Thanks Panda for sharing the Disney magic with us once again! Oh and if you will be in the Walt Disney World area on September 13th 2013 – there is another meetup to come. Everyone is invited. No fast and furious emails required. Click here for details, and have a magical day! Have you heard about the fantastic Disney Collection by Vera Bradley coming to the Disney Parks and at the Disney Parks on-line store? I scoured the internet to see if I could find price points and measurements for you on the different designs – and I was very excited to find this information to be able to share with you today. The bags are just gorgeous and if you’re wondering if they will fit in to your budget (like I was) – here are some guidelines to follow. I do want to provide the disclaimer that this pricing was found at Disney World Personal Shopper. Disney has not formally released this information themselves, so I am unable to promise you that it is completely accurate. Also, as with all things Disney, pricing is subject to change. These measurements were taken from similar items on the Vera Bradley website and may not be exact either. Please keep these things in mind and use these figures as a “general” idea. Backpack $99.00 The approximate measurements are 10 1/2″ by 13″ by 4″ with a 31 1/4″ adjustable shoulder strap and a 2″ drop. Dimensions are: 19 1/4″ x 14 3/4″ x 6 1/4″ with an 11″ strap drop. For more information about The Disney Collection by Vera Bradley including release dates, design names and more – click HERE. Disney Parks Podcast Episode 63 Vera Bradley, Dapper Day, Prizes and More! Check out the latest episode of the Disney Parks Podcast! Hear how Disney is “going to the dogs” and so much more! The team has been working hard to improve the sound quality and I think it really shows! Leave me a note if you are enjoying the podcast and let me know what you would like to hear more of, or if you have questions or comments! I’d love to hear from you. Have a magical day!! Click HERE to be taken to this Disney Parks Podcast Special Edition Episode! I think you will really enjoy hearing Tony and Sid tell us all about their personal experience at this amazing expo! I had a lot of fun channeling my inner Oprah – and interviewing these two! Click HERE to read more about our relationship with the Disney Parks Podcast. As I write this I still can’t believe it happened. The Disney Parks Podcast was fortunate enough to welcome the fabulous Pat Carroll and interview her on our podcast! You can hear as I ask her my first question, I sound like I am about 4 years old. The reason for that is I FELT like I was a little kid – talking to her childhood hero. Pat was amazingly personable, and so wonderful to speak with. You can access the Pat Carroll episode on the DPP website and clicking on the grey circle that has the sideways white triangle inside. Just click the link HERE. Make sure your speakers are on. We are getting so much great feedback from this episode and I hope you will check it out and enjoy it too!